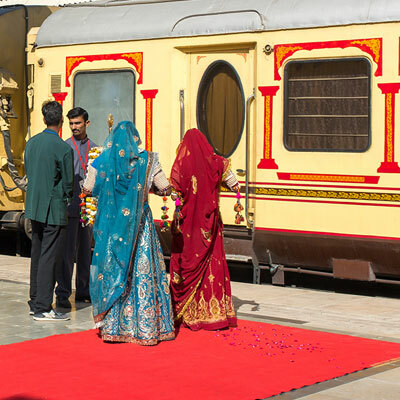 An Imperial Journey Through The Land Of Maharajas! 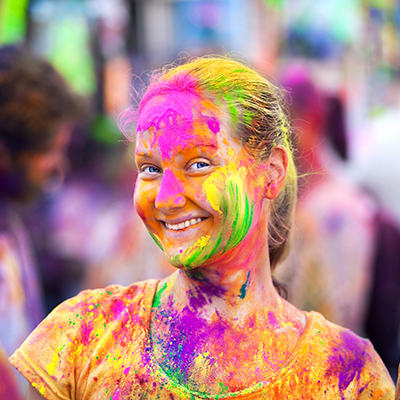 Rajasthan – ‘India’s Celebration Capital’ For an Exuberant Experience! The Magical Beauty of Rajasthan And Its Golden Past. 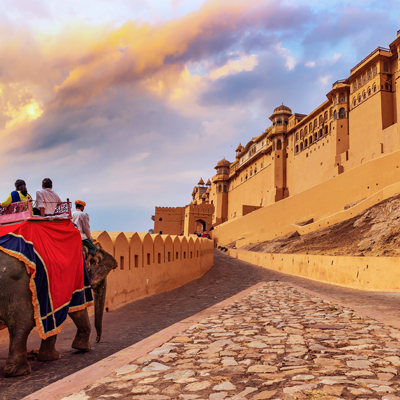 Exquisite Palaces, Wonderful Forts, Royal Havelis! The land of Maharajas, lakes, grace, emotions, adventure, and vibrancy, Rajasthan with its royal essence welcomes you with all its heart. "Khamma Ghani", it says, and has the beauty that never betrays. 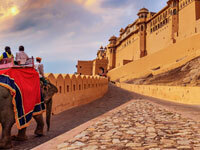 Rajasthan is a magical land full of cheerfulness and quintessential charm. In the era where development has taken over, the state remains truthful to its roots and customs. In every street you will find a new ritual, in every face, you'll see an acquaintance. It is a land that showers you with love and a melting pot of multiple religions that is meant to be visited once a lifetime. Realizing its heritage richness and eyeful aura, more and more people are booking their tours to this heavenly destination leading to an increase in Rajasthan Tourism. Be an influential part of this rise, Book your tours now! "Padharo Mahrey Des," Welcome to Our Land; it invites you to unravel its opulence and unbeatable grandeur. 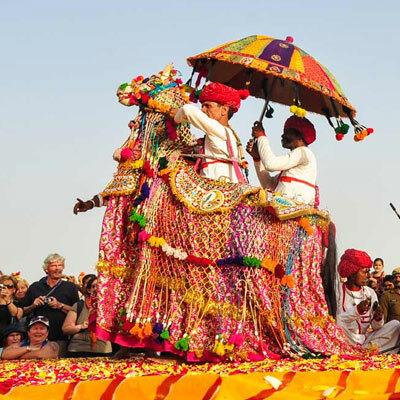 Rajasthan tourism, a journey to the opulent past of India's royal grandeurs, is indeed one of the most popular and enjoyed tourism options across the globe. A true testimony to the royal, elegant, flamboyant and heart-warming past of the Thar Desert, promises more than you can ever expect! 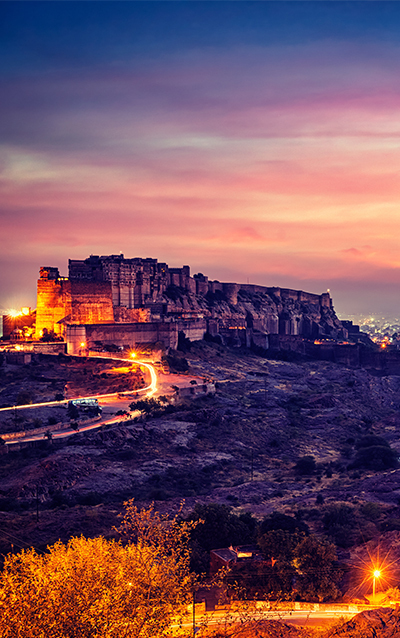 Enchanted by the Aravalli Mountain Ranges, adorned by extravagant palaces and guarded by glorious forts, this state welcomes its visitors with an open heart and promises a fascinating experience. 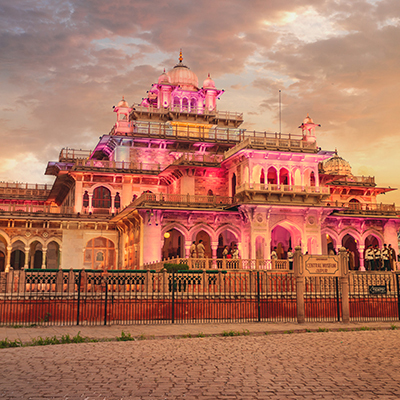 Irrespective of which part of the state you are visiting, it will the royal glamour and appeal of Rajasthan that will cuddle up and deck your holidays with its enchanting charm! 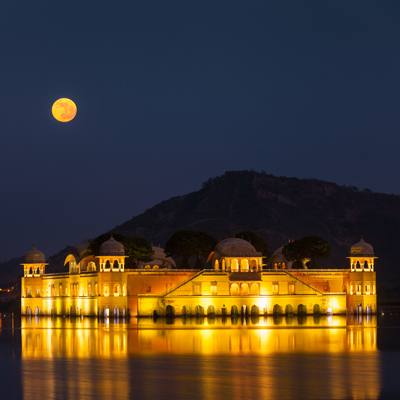 Whether a leisure holiday seeker, newly-wed couple, history enthusiast, thrill seeker or a culture devotee, Rajasthan quenches everyone's yearnings. 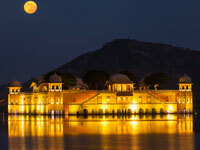 While leisure vacationers, places like Jaipur, Jodhpur, Udaipur, Jaisalmer and others serve as the perfect destinations. 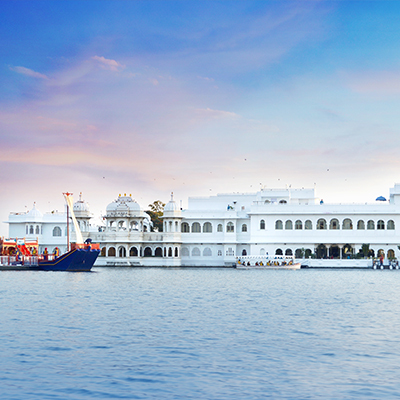 For newly-wed couples or honeymooners, they can savour the love and romance in Udaipur and others. Adventure seekers can feast on an array of activities like desert safari, camping, hot air ballooning, wildlife safari and several others. 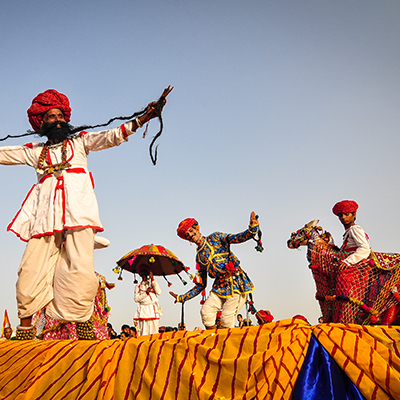 For the culture devotees, each and every corner of Rajasthan holds something for them! 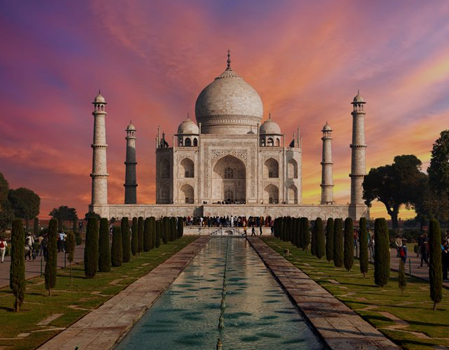 Be it the past or the present, it has always been the most opulent and fascinating options for the visitors. So, visit this royal state and enjoy good time with your family and friends; you will always have a reason to cherish your holidays amidst its rich culture, heritage, history and traditions! Where exactly Rajasthan is located? 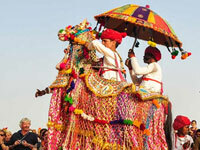 A: Rajasthan – one of the most colourful places to visit in India, is located towards the North-Western part of India. Sharing a proximity with other Indian states like Gujarat, Madhya Pradesh, Uttar Pradesh, Punjab, and Haryana, this gorgeous state in Thar Desert also shares a part of its border with Pakistan. How tough is it to reach Rajasthan? A: Well, if you are planning for a Rajasthan tour, you need not to worry as the state has both international and domestic airports. Also, the state has a good railway network that connects with other popular Indian destinations. 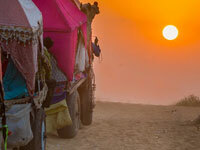 How about a road trip to Rajasthan? 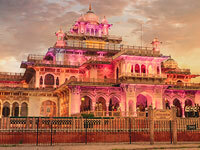 A: Road trips can be the most exciting experience for visitors to the ‘Land of Maharajas’. 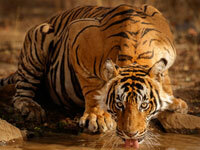 One can find plenty of Rajasthan tour packages that offers amazing road trip options from across several destinations. Is Rajasthan all about deserts and extreme temperature? A: Though most of the visitors fall prey to this notion, reality is entirely different! While travelling across the state, you will surely find numerous lakes, oasis, rivers, and lush greeneries around you. To note here, the stunning hill station of Mount Abu is located in Rajasthan! What type of climate can be expected in here? 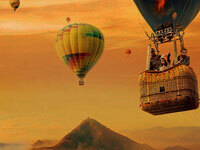 A: That largely depends on when you plan to book Rajasthan tour packages. Summers in this state can be quite harsh during the daytime, but gets cooler during the nights. Winter is extremely pleasant and requires heavy clothes with the advent of evening. 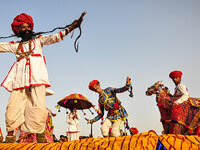 A: Rajasthan is a year-round destination. However, keeping in mind about the harsh summer, October to March can be called the ideal time to book Rajasthan tour packages. 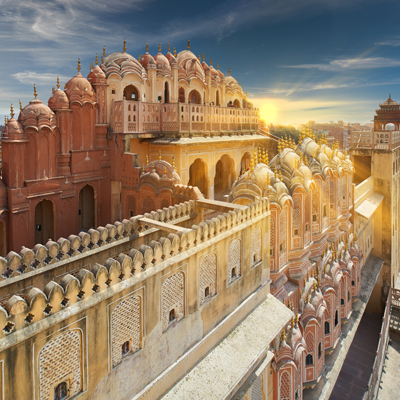 If you were to suggest some of the must visit places in Rajasthan, what would they be? 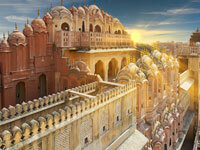 A: Rajasthan is often revered as the most colourful, historic, and elegant states in India. Almost every nook and corner of this state offers something or the other. 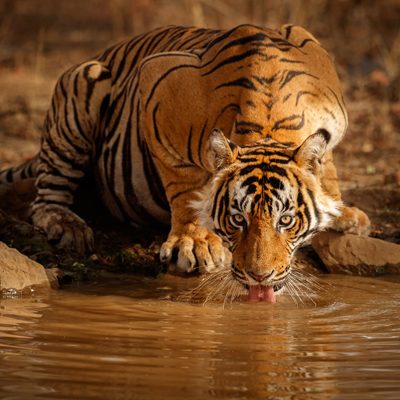 However, there are places like Jaipur, Udaipur, Jodhpur, Mount Abu, Pushkar, SawaiMadhopur, Jaisalmer, Ranthambore, Bikaner, and several others. Any suggestion on clothing while on a Rajasthan tour? A: Rajasthan enjoys a mixed of temperature; day temperature stays quite high while mercury level falls during night. 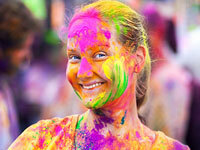 You should pack your bag with a mixed type of clothes if planning to book Rajasthan tour packages. Any solid reason why I should plan for a Rajasthan tour? A: Well, this is the state that is often called the ‘Land of Maharajas’, ‘Desert Capital of India’, ‘Cultural Capital of India’, and lot more. 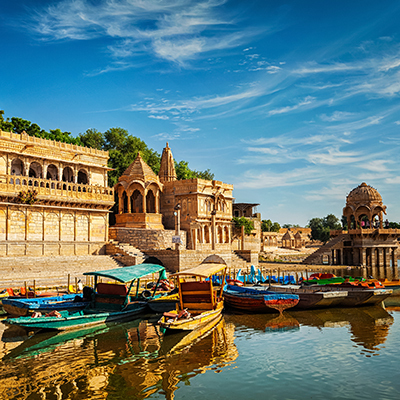 If you want to witness and enjoy the royalty of India’s past, explore the great Thar Desert, revisit the golden history of India, you must plan your Rajasthan tour today. Rajasthan is basically a desert land. Does it allow the visitors to enjoy adventure activities? 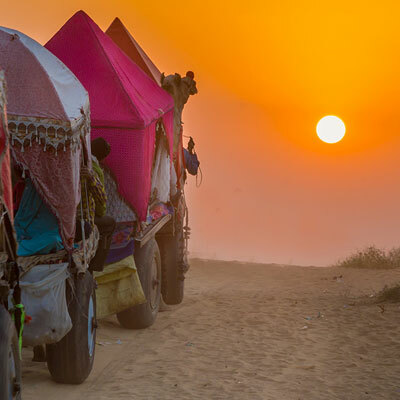 A: Adorned by the charm and grace of the Thar Desert, most of the Rajasthan tour packages offer a myriad list of adventure activities. While in here, visitors can enjoy hot-air balloon rides, paragliding, dune bashing, camel safaris, desert camping, ziplining, and much more. A: Believe it or not, but this colourful state is a heaven for the shopaholics. Starting from rare gems, stones, leather goods, artefacts, antiques, etc., one can shop their heart our while on a Rajasthan tour. How does the locals treat the visitors in Rajasthan? A: Rajasthani people are among the friendliest people in the country. They will always make you feel home and will welcome you with an open heart. What type of visitors should visit this state? 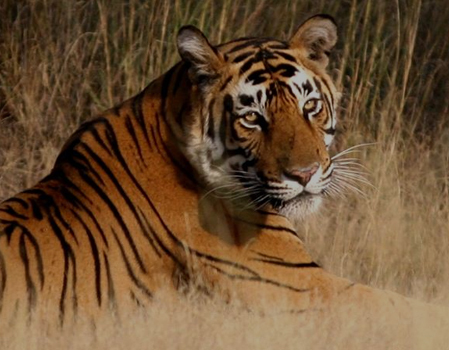 A: Rajasthan is one such destination that can be visited by almost everyone! 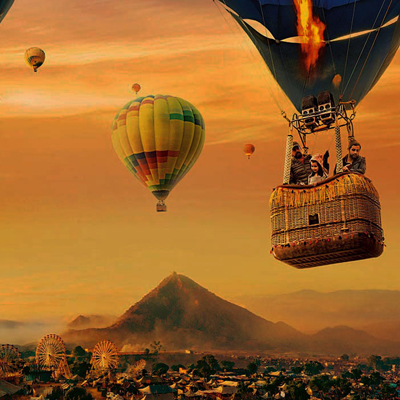 Whether a leisure seeker, honeymooner, adrenaline junky, history enthusiast, nature lover, or a solo backpacker, everyone must book the respective Rajasthan tour packages and visit the ‘Royal Capital of India’.